We could not agree more, and ways to protect and improve soil health has been our recent focus of content on Agricology. Annie Landless asks at the start of her blog, “Soil is your most important resource as a farmer, but do you really understand it and know how to improve it?” We looked at ways of monitoring soil health, fixing biological nitrogen, making soil biology work for your farm, and how you can optimise nutrient availability and use organic materials optimally. This all starts with learning to know your soils. We have continued to share installments from the 'Know your soils' series from the Sectormentor for Soils team. A soil health reading list provides some key books to help you get up to speed on how to build your soil, ensure it is healthy and make it integral to your farm management system. Going beyond the books and out into the field, Annie Landless urged you to do three simple tests; assess the presence of earthworms in your soil, the slake test (how well the soil structure holds together in water), and infiltration rate (how ready your soil is to soak up water). 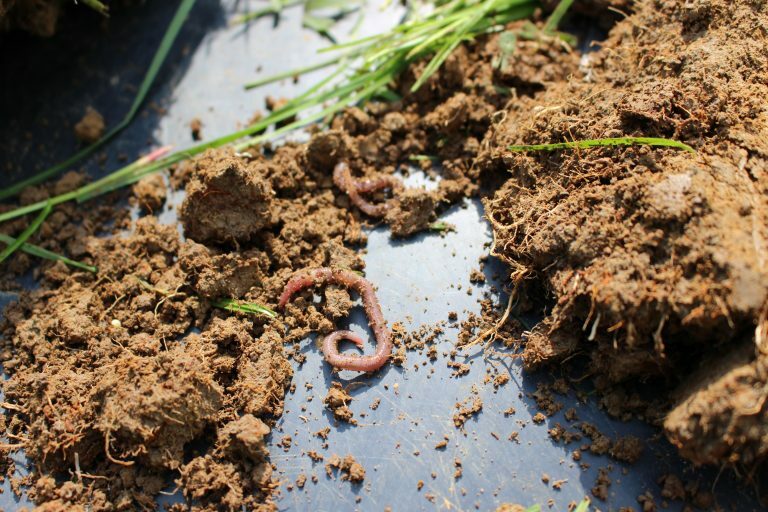 The Soil assessment methods AHDB Information Sheet, produced as part of GREATSoils (Growing Resilient Efficient And Thriving Soils), reviews tools and methods available to test your soil and includes tips to help you assess and manage your soil health. The Respiration Test, based on an AHDB GREATsoils video created by the Soil Association and Earthcare Technical, shares how to collect soil samples for the respiration test and how to use the equipment to do the test. Soil respiration indicates the soil’s ability to support living roots and plant growth - low respiration rates show there is a lack of soil organic matter and microbial activity in the soil. One way of increasing soil organic matter and microbial activity is by cultivating diversity. Planting a variety of crop species in rotation can increase the diversity of soil microbes below ground, positively affect soil organic matter and soil structure and help create a more healthy soil. Our featured livestock and arable farmer Mark Lea who believes that “diversity across the farm builds resilience” talks about the different ways in which he puts diversity in its many forms into practice. He describes genetic diversity - growing wheat with an increased resilience to pest, disease and climatic risks, diversity at a variety level, and enhancing diversity at a crop level - both over time by diversifying the rotation, and in space through practices such as undersowing and intercropping. If you want to introduce diversity into your crop rotation and increase soil fertility and reduce erosion, the OSCAR Cover Crop and Living Mulch Toolbox is a fantastic free, interactive tool which includes a Wiki, species database and decision support tool to help you identify the most appropriate crops to grow. 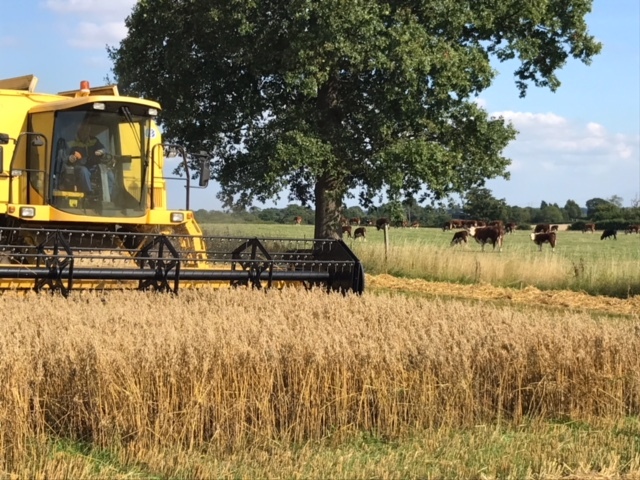 Richard Smith talks about using a red clover ley before sowing a crop of organic winter oats and vetch in his featured vlog. We featured an article written for Star & Furrow; the Biodynamic Association bi-annual journal, which emphasises the importance of understanding how soil works so that “we can feed it appropriately” and therefore feed the plants. Peter Brown shares some lessons from a biodynamic conference he attended and refers to methods such as intercropping, using green manures, reduced tillage, biodynamic preparations, composts, mulching and plant teas. As Dominic Amos says in his blog, the theory behind applying compost teas is to increase the amount and diversity of microbes in the soil. The addition of these beneficial microbes is supposed to increase nutrient availability to the crop and help with disease suppression. November sees us diving (pun intended) into the world of sustainable water management… It’s not too late to get involved - please get in touch if there is anything you would like to share with the farming community in relation to improving drainage, reducing runoff, preventing water pollution… Your country needs you! Use Facebook, Instagram, YouTube, Twitter (@agricology) or the Comments feature below, or contact us on enquiries@agricology.co.uk. Earthworm image taken from Annie Landless' blog, other images taken from Mark Lea farmer profile.